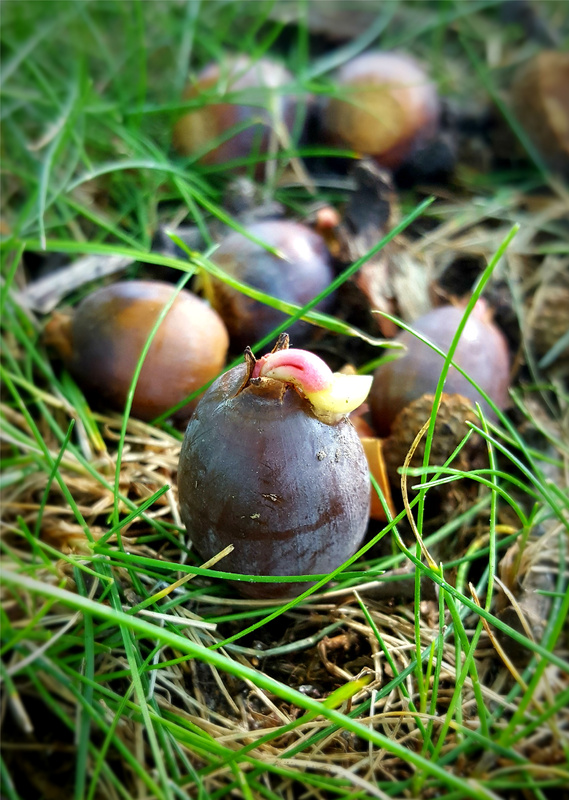 In all my time spent out exploring in nature, I’ve never found an acorn actually sprouting before. It’s so amazing to see the will and the strength of new life breaking through – especially through such a hard shell, and at a time when everything else around seems to be dying or going dormant. This entry was posted in Nature and tagged Autumn, Nature, Photography, Poetry. Bookmark the permalink. Precious – it even has a smile. Wonderful image and find Julie! I’ve seen many sprouting seeds but not an acorn either. I hope you have a soulful Sunday! I’m glad you enjoy your weekends Julie. Weekends are mostly work for me, but I might be starting a new job that gives me back weekends! Great photo–and I love the word “breakthroughs”–it’s such a hope-filled word! I see a smiley face there, too! Thanks so much Albert, nature and life are indeed filled with miracles!